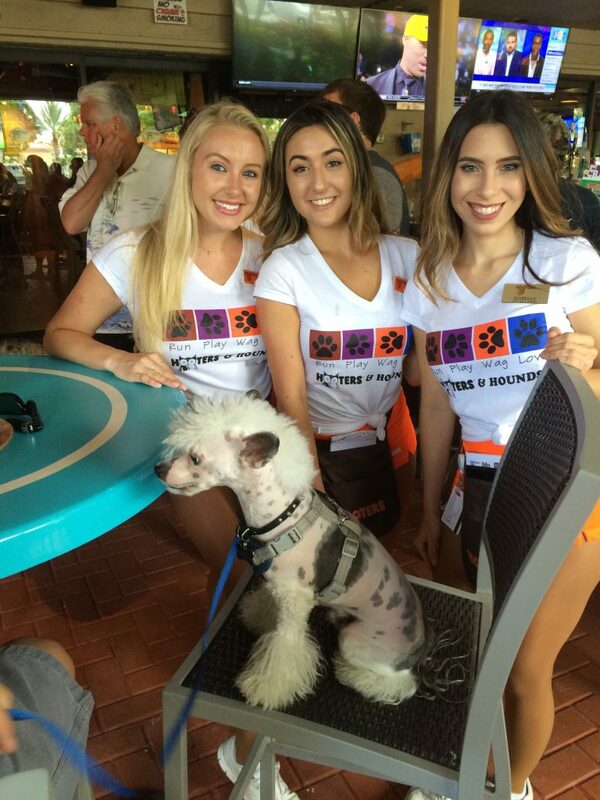 Hooters of Boca Raton will be hosting the 3rdannual Pooches on the Patio on Friday, July 13thfrom 5:30 – 7:30 pm. Hooters is located at 2240 NW 19thStreet, Boca Raton, FL 33433. Being an active participant in the community is important to Hooters of South Florida. That is why they teamed up with this rescue group for this event. Tickets for the event are $10.00. Each ticket includes one domestic draft beer and light appetizers including wings. Bring two friends to the event and you get in free. There will also be live music and raffle prizes. This is a pet-friendly event and all leashed pets are welcome with their owners to enjoy the festivities and mingle. Adoptable dogs will also be at the event. All proceeds benefit the Tri-County Animal Rescue’s, Medical Fund. Tickets can be purchased by calling the shelter directly at (561) 482-8110. Guests will also have the opportunity during the event on July 13thto take photos with the Chase Elliott Hooters Chevy Camaro XL1 show car from 5 pm to 8 pm. Hooters is a two-race primary sponsor and full-season associate sponsor of the No. 9 team in 2018. In 2017, Hooters joined 12-time NASCAR Cup Series champions Hendrick Motorsports as a primary sponsor of driver Chase Elliott. The No. 9 Showcar will be at several South Florida Hooters Restaurants in July including Fort Lauderdale, Pembroke Pines and Hialeah. Tri-County Animal Rescue’s mission is saving lives in Palm Beach, Broward, Miami-Dade and Martin counties and beyond. It is a 100% no-kill Tri-County Animal Rescue and is a protective haven to thousands of abandoned, abused or neglected dogs and cats from other facilities in South Florida, Treasure Coast and as far as Tennessee, Oklahoma, Kentucky, and the Bahamas. A 4 star Charity Navigator rated animal rescue center not limited to regional borders, TCAR has rescued more than 52,000 animals since its inception in 1996, offering homeless pets a welcoming forever home, either on campus or through carefully vetted adoptions. Rescue is our mission. Rehabilitation is our pledge. Rehome is our purpose. TCAR is open for adoptions five-days-a-week Tuesdays, Thursdays, Fridays, Saturdays and Sundays from 10:30 a.m. to 4:00 p.m. For frequent updates or more information on TCAR, visit tricountyanimalrescue.com.